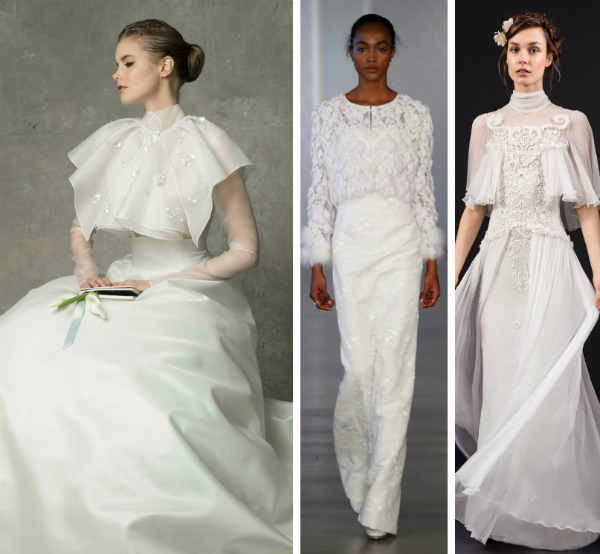 Wedding trends for 2017 largely mimic the trends of 2016 with half skirts/trains, lots of lace, and pants being prevalent. Next year expect a lot of V-necks as it’s one of the top trends. It seems the slip dress has made its impact. Designers like Naeem Khan, Monique Lhuillier and Christian Siriano have widely used it in their collections. Others stayed true to the wedding classic – strapless dress. 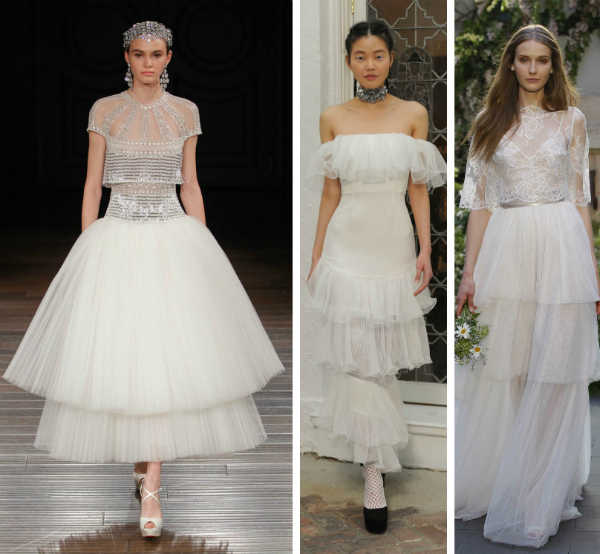 There are also many styles that feature high necks but they are usually made of sheer tulle or lace to create an illusion design. Ruffles are big this year but many designers translated them into full tiered skirts creating an unusual playful look. Capes and pants are the last year trends that got even more attention and love from the designers and come in a wide range of styles and variations. 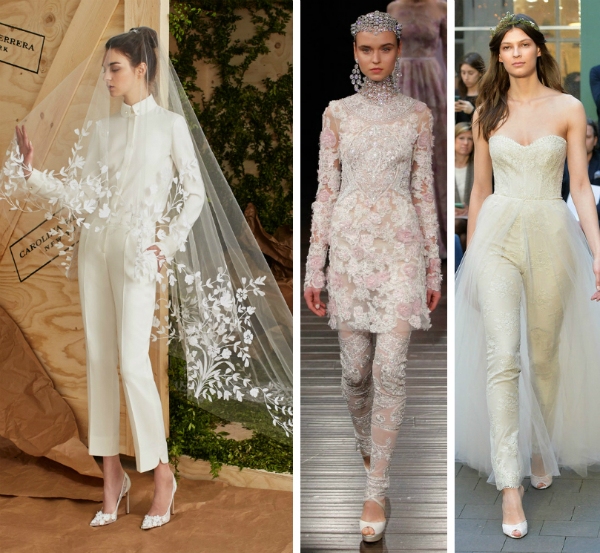 Jumpsuits is another way to wear pants for your wedding without putting on an office-like suit. 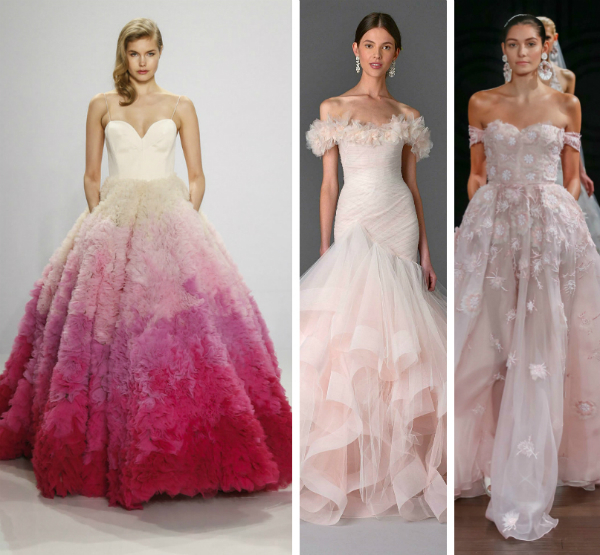 Finally, being the color of the year pink has popped up here and there in designer collections in most gorgeous ways. 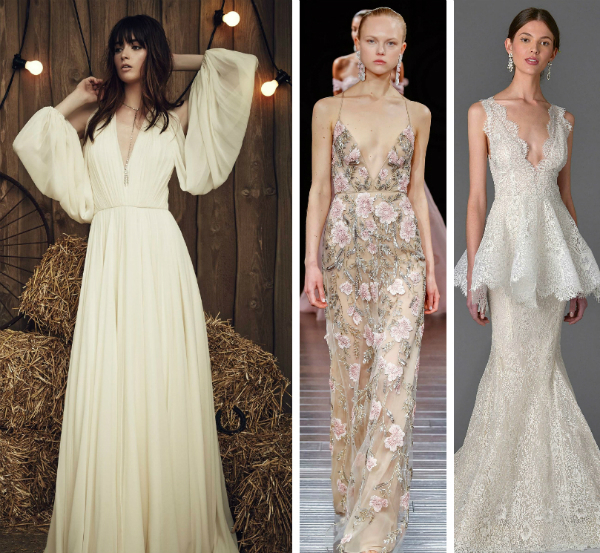 Naeem Khan has also went on to incorporate blue and lavender to his line while Christian Siriano offers bold brides a bolder hot pink ombre option.